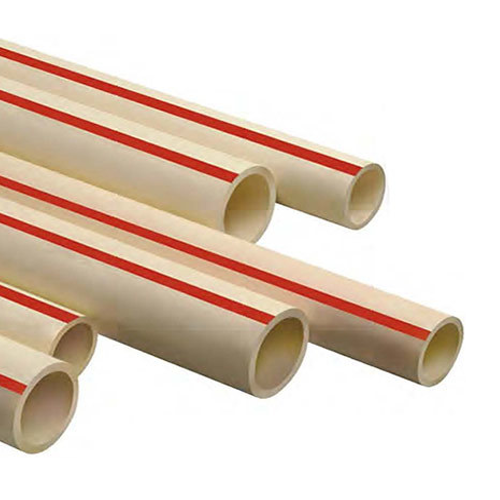 CPVC (Chlorinated Poly Vinyl Chloride) Pipes are very much demanded in the market because of their quality and wide application areas. If you want to buy them in customized design, contact DHY Trading Corporation – one of the growing CPVC Pipes Manufacturers in Mumbai. We have manufactured these pipes at our in-house facility by utilizing advanced injection molding technology that guarantees the product toughness and durability. CPVC is a thermoplastic made by chlorination of polyvinyl chloride resin, which has better flexibility and ability to withstand higher temperature. The use of CPVC Pipe for hot & cold water application of plumbing is far better than the PVC pipe; therefore, it has better demand. You can avail these pipes in standard configurations to meet specific client needs. We ensure that the quality we serve meet industry standards and help us successfully gained the position among Best CPVC Pipe Suppliers and Exporters from India. Drop us your email with all the requirements you have, our executives will get back to you shortly.